Helloooooo… Long time no post and hope you miss me (chuckles). I promised one of my readers who requested Achar recipe on my FaceBook to post the recipe for her soon. And, I hope this doesn’t come too late for her liking. 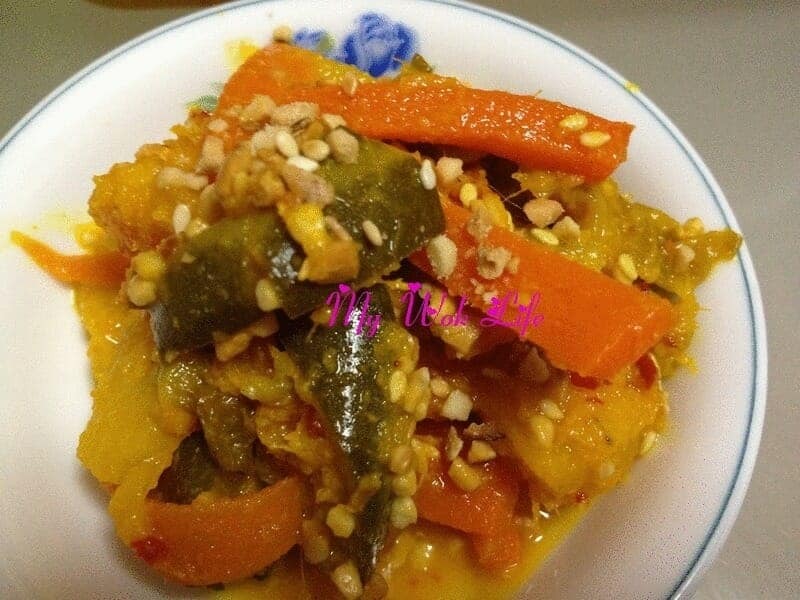 :) Achar is known to be a Nyonya dish, but well-liked by many other Asian dialects, too. This is an Asian-style pickled vegetables dish which tastes sweet and sourish with a little bit of spicy flavour in it. Achar goes so well with plain porridge, rice, nasi lemak, fried bee hoon, or even to be eaten on its own! Blanch and Squeeze dry the vegetables till really dry. Simply pat dry the pineapples. Cooking Achar is simple, but the preparation is not so. It involves many steps, from making the seasoning paste (rempah) till cooking the dish… Preparation usually takes up to 1 hour while cooking the dish takes only 5 minutes to complete. As for my version of Achar, I’ve added my open-secret trick to this recipe, the blanching of vegetables including cucumber. Many recipes used just the raw vegetables and they find it taste equally great, but I prefer the additional blanching step (but of course a MUST to squeeze-dry them after that). To me (taught by my mum), the blanching is an important step to retain the crunchiness of the vegetables for even longer time! The standing procedure of the dish is also essential in making the Achar. It is best to store the Achar for more than a day (in the refrigerator) before consumption. This is to ensure the spice flavouring has been fully sponge-in by the vegetables. Not sure why this is called ‘Ah Balling’ or ‘Yah Boling’ in Singapore, but apparently this Teochew dessert soup is so popular and well liked by the people where it has become one of iconic hawker delicacies in Singapore for the past decades. 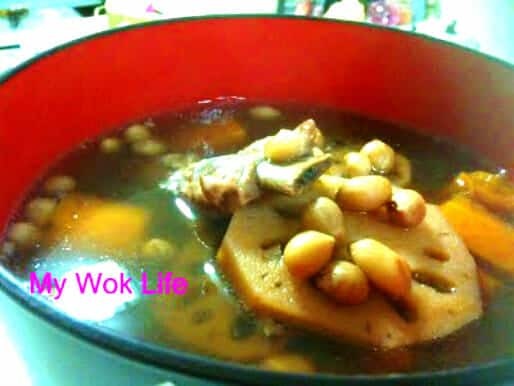 This traditional Chinese soup never fails to smother you with plenty of home feeling. Many of our mothers or even ourselves cook this soup so often that it has then become one of the staple food in our households (chuckling). If you are now landing in a foreign place alone, and missing your mum’s cooking or the hometown dishes, boil this soup by your own. 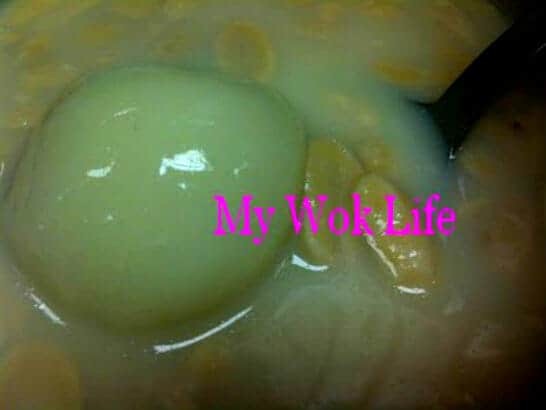 The ingredients are simple and easily found in most Asian markets. 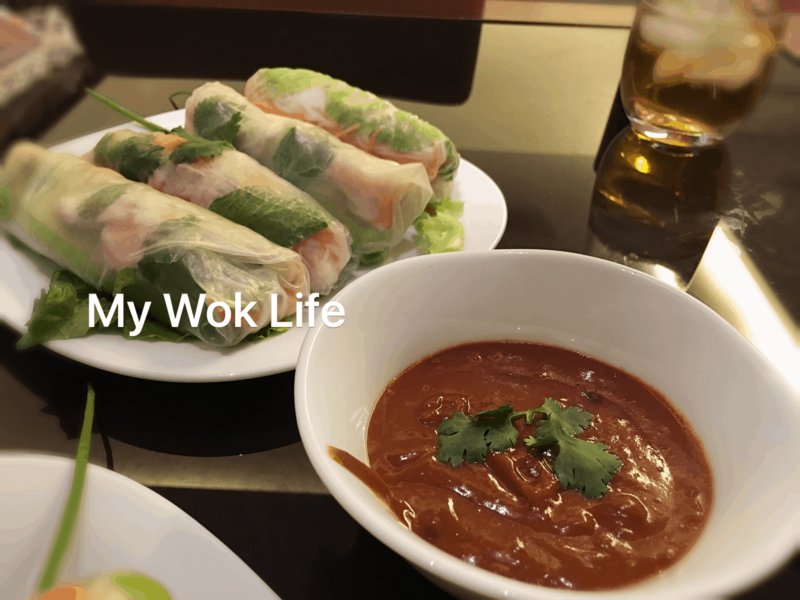 This home-taste goodness, with a foundation of mineral-rich ingredients, will both satisfy your appetite and heart as a foreign home lander (smile). 1 small cup of raw peanuts with skin intact, soaked in a pot of water overnight.